It’s Mary (the Saturday Seymour dental student) here! When I’m not busily helping out at Seymour Dental , you can usually find me at the Sydney Dental Hospital learning all about the fascinating world of dentistry! The life of a dental student is a very eventful one! I’m now in my second year (time flies when you’re having fun) and each week usually follows a similar structure with lectures scattered throughout. However, the practical sessions are by far the highlights of the week! 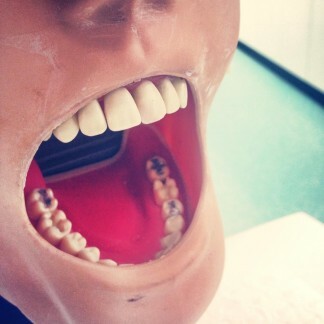 Monday mornings consist of a problem-based learning session where the medical components of dentistry that have been learnt from lectures are applied to a real-life patient situation. A definite upside of these sessions is the baked goodies that are brought in by fellow students to share! The afternoons are comprised of exodontia clinic where eventually, we will learn how to extract teeth (a scary thought). But for now, we are learning to give each other local anaesthetic injections (and laughing at how silly we all look with half of our faces numb).